Our economy depends on thriving seaports to act as the turnstiles of global trade. But as public officials and logistics companies seek to increase seaport capacity, surrounding communities claim this expansion damages their quality of life, as this Wall Street Journal article explains. In recent years, logistics professionals have come to recognize the significant impact of the supply chain on climate change. Steps taken to mitigate that impact include the use of alternate fuels and shifting to more energy efficient modes, like rail. Ports are one area that requires the special attention of the logistics community. The challenge is how to facilitate an increasing volume of global trade, while preserving the quality of life for neighboring communities. The two goals must coexist. 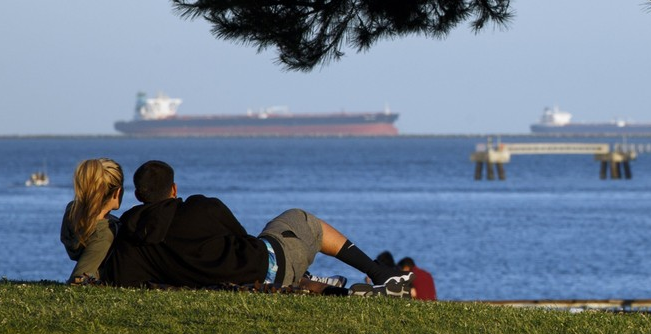 The Environmental Protection Agency says more than 41 million U.S. residents—or 1 in 8—are exposed to air pollution from port operations and face higher risk of asthma and other health problems. The good news is there are steps that port operators, as well as shippers, can take to dial back pollution levels around ports. Some are as simple as replacing old and inefficient diesel equipment with newer drayage trucks that significantly reduce harmful emissions. Some ports even facilitate low-interest loans to make it easier for truck owners to upgrade a vehicle or a fleet. For more ideas, check out EDF’s Clean Air Guide for Ports and Terminals. All of these projects have implications for our natural environment, for neighboring communities, and for the health of our economy, which depends on the efficient flow of imports and exports. As a result, numerous interest groups are becoming vocal advocates for their own particular point of view. Logistics businesses and professionals have much to offer and can’t stand on the sidelines as these issues are debated. We must be active participants in a collaborative effort to address the challenge of sustainable port expansion.